Nana Addo Dankwah Akuffo Addo, the flagbearer of the New Patriotic Party (NPP) beat off competition from the likes of former Presidents Kufuor and Rawlings, Dr. Bawumia, Dr. Paa Kkwesi Nduom, Nana Konado Agyeman Rawlings and most importantly his major contender in the upcoming November elections to emerge as the 4th most influential personality in Ghana in 2015. This was contained in the current list of the first 100 most influential personalities released by e.TV Ghana, organizers of the annual Ghana’s Most Influential Awards. The list, which is made up of politicians, clergy, footballers, business people, entertainment personalities and journalists among others was released live on e.TV Ghana’s State of the Nation program. This rating comes at a very crucial period in Ghana’s political space as the country prepares to elect a leader for the next four years for which Nana Addo is one of the main contenders. The fact that he is rated higher than the sitting president, John Dramani Mahama, heightens the tension between both camps and adds to the political excitement in the country. The dispute over which of the two flagbearer’s is ahead of the other in terms of popularity, influence, etc. is always an issue of contention between the two main political parties, NDC and NPP and even among many ordinary Ghanaians. This rating therefore gives room for pundits to make various analysis and projections about the upcoming elections. 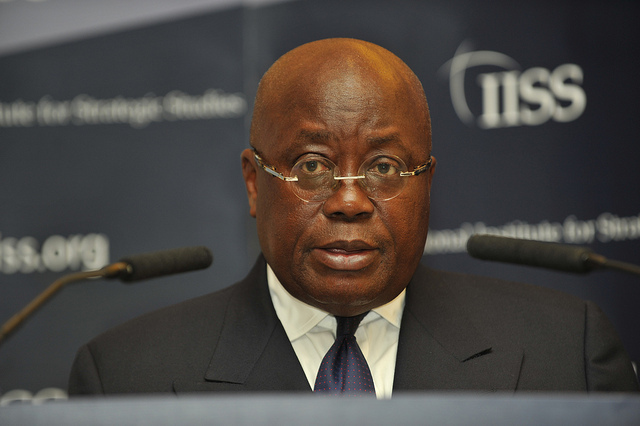 In 2013 however, Nana Akuffo Addo was adjudged Ghana’s Most Influential Personality. The Ghana’s Most Influential Awards is aimed at recognizing and celebrating the top 100 Most Influential Ghanaian personalities who have contributed immensely to the growth of our society in various ways -as voted by the general public. Public nominations which was opened in November last year were scored 40 percent and the GMI Committee consisting of editors, producers, and representatives of audit firm PKF Accountant & Business Advisors scored the remaining 60 percent. The LA Palm Royal Beach Hotel will host the grand ceremony on June 30 where the various personalities will be awarded.